Description: A long-time base for J-8 jet fighters for reconnaissance missions. Reportedly, in late 1999, China completed the deployment of 24 Q-5 fighter bombers and six F-7 jets as part of the increased flights over the Taiwan Strait. Most of the air craft were said to have returned to their home bases, however, several F-8 reconnaissance aircraft continue to be stationed there. 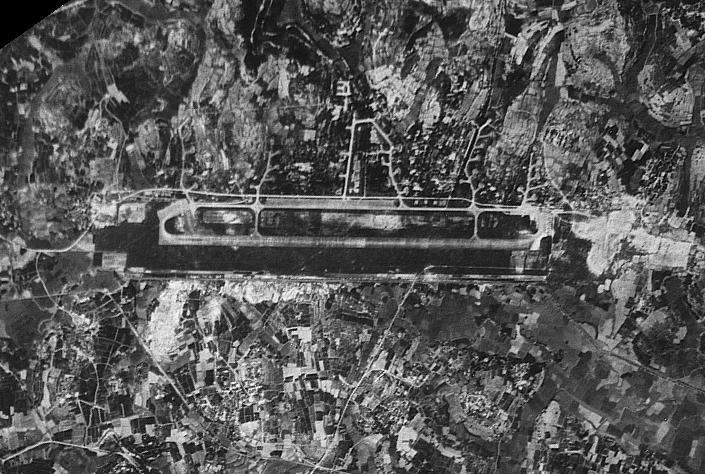 According to imagery from 1969 the base has a hard-surface runway approximately 8,000 feet long. Nearly 30 revetted hardstands branch ff in five groups north of the runway, each holding up to three combat aircraft. The base may support up to 90 combat aircraft based on the number of hardstands. Alert hardstand areas are located on either end of the runway. No obvious weapons storage areas have been sighted, although north of the base, in the middle, an anti-air defense facility may possibly be located. 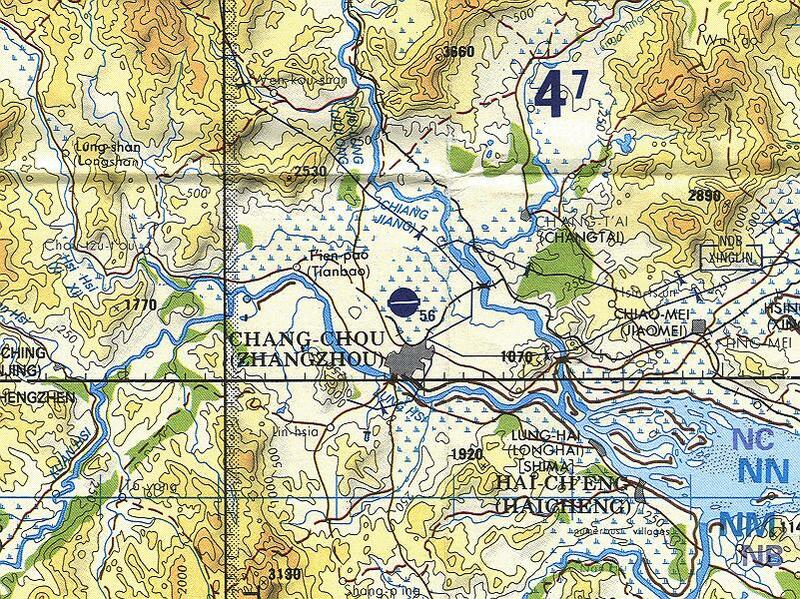 A report in March 2000 revealed that the PLA Air Force was building air defense base near Zhanhzhou. These batteries are likely comprised of Russian S-300 missiles. Photographs: Declassified imagery from CORONA-class satellites.